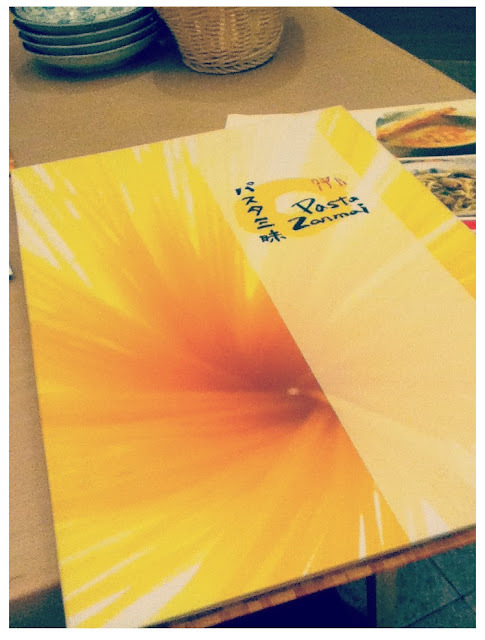 It's been quite some time since I last visited the Zanmai restaurant. Le bf let me choose any restaurant for dinner in Tropicana City Mall so I chose Pasta Zanmai. And I sorta regret it. lol. Actually I just wanted a quick dinner because we're kinda running out of time to collect our movie tickets. Sushi Tei is definitely a place I want to slowly savour their food so I chose this place instead. Pasta ma, serving time won't be that slow.... I think! Am health-concious lately. 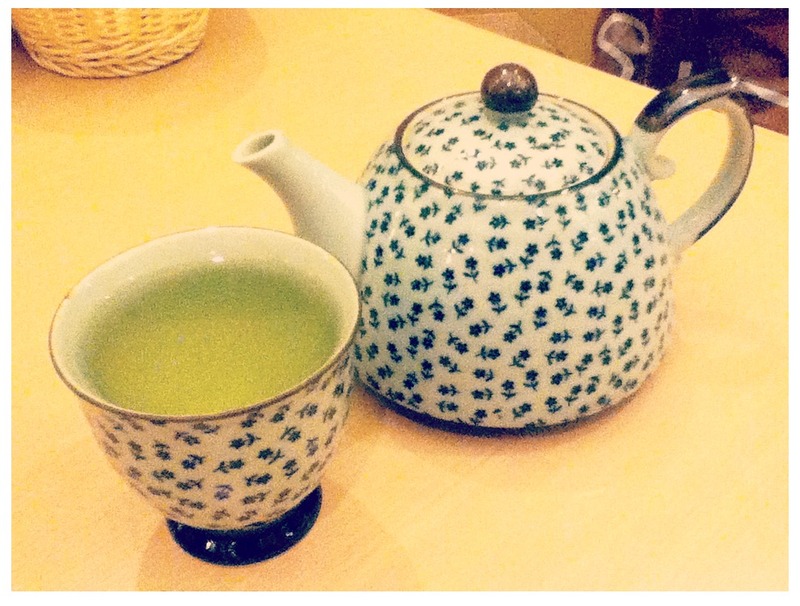 Hot green tea! Nice pot and cup, I love it!! No need keep asking for refill. lol. Too bad there's nothing suits my appetite that night and I go for Hamburg. At first I thought its course meal is good, but turns out just a simple set meal. The hamburg dish is RM20, but if in set meal is RM30, only miso soup and white rice added into the set. Costs me for another RM10! I was kinda O_O;;. Not to mention the hamburg was just so-so only... I like its salad with sesame dressing more. 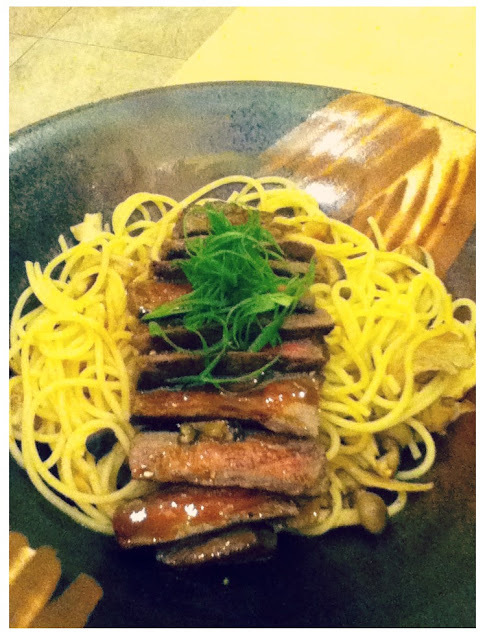 On the other side, le bf's sirloin steak pasta taste way wayyyyyyy better. 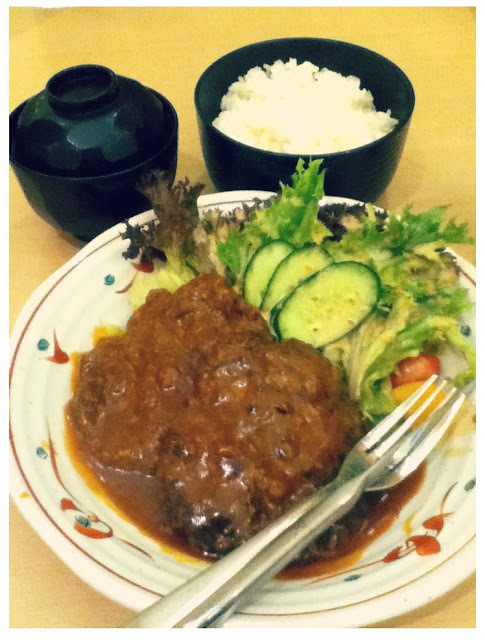 Tender beef and enoki, with a hint of spiciness. Nice wei!!! I better go Sushi Zanmai next time, at least they have delicious Mentaiko sushi that I like.